For the first five years of my relationship, it didn't seem strange to me at all that my boyfriend didn't have a skincare routine. While our bathroom countertops were covered with cleansers, moisturizers, and serums—all for me—his singular shelf of the medicine cabinet contained a bottle of cologne and some unopened aftershave. It's not as if the guy had perfect skin, either: His Irish genetics have plagued him with eczema, rosacea, and a complexion that begs for sunscreen, but for years, his nonexistent skincare routine never struck either of us as a problem. 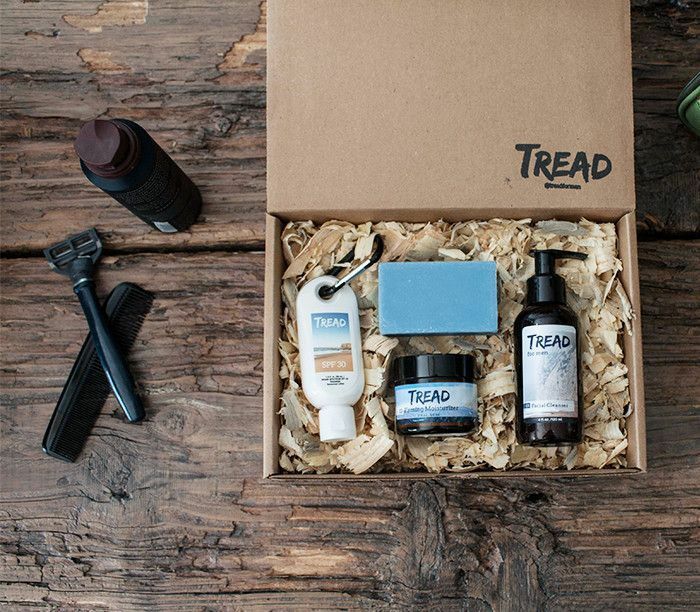 In the United States, there exists "a general perception that taking care of your skin is something that only women do," explains Eric Verdeyen, co-founder of men's skincare company Tread. Combine this with the average guy's lack of education about skincare, plus an aversion to spending time and money on something he wasn't taught to value, and you wind up with a dude like mine, who's missing out on the chance for healthier skin. 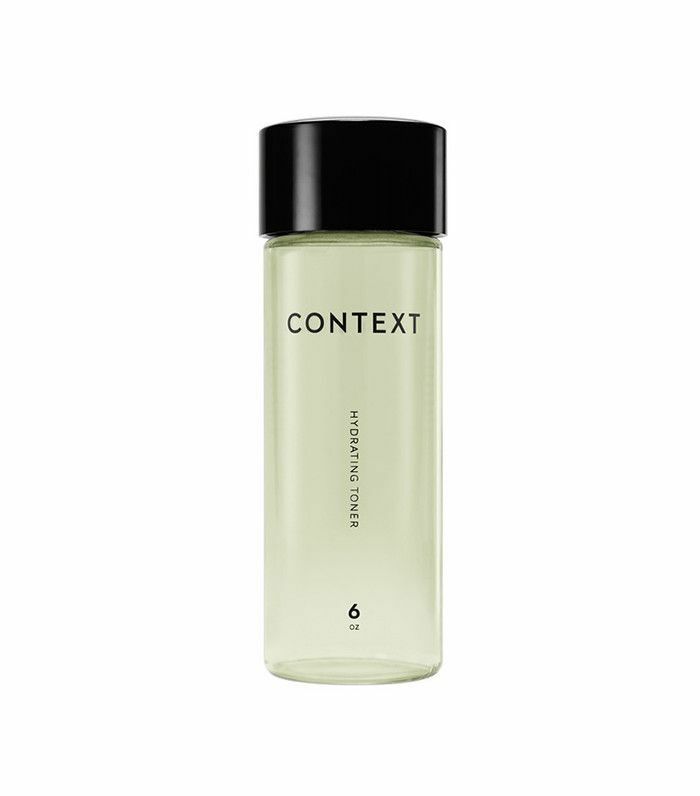 If you think about it, there's nothing innately feminine about cleansing and moisturizing, and in different cultures around the world, men and women are equally concerned with their skin health. Consider South Korea, where a man taking care of his skin is as expected and commonplace as brushing his teeth. It's a matter of hygiene, not gender. As America's societal norms evolve, and as skincare marketing becomes more gender-inclusive, dudes are warming up to the idea of caring for their complexions. "Many of the old ideas we have about manliness and masculinity are just that—old and outdated," says Spencer Campbell, content strategist at men's skincare line Jack Black. "Simply think of developing a good skincare regimen as a continuation of what you're doing at the gym." It's another way of taking care of yourself. These arguments make perfect sense, but sometimes, our male partners, friends, and family members need a little extra push to hop on board the skincare train. This year, I finally convinced my dude (and my dad!) to adopt regimens that work for them, and with a few smart tips, so can you. Keep scrolling to learn how to help the dudes in your life take care of their skin once and for all. For someone like my boyfriend, whose skincare routine once consisted of soapy shower run-off, you've got to start them off slow. "Don't get him a seven-step process," Verdeyen advises. "Make it easy for him to try it out." We recommend starting out with a quality cleanser, shave cream or scrub, and moisturizer with SPF. "Let him feel, smell, experience the difference of a premium product," Verdeyen says. 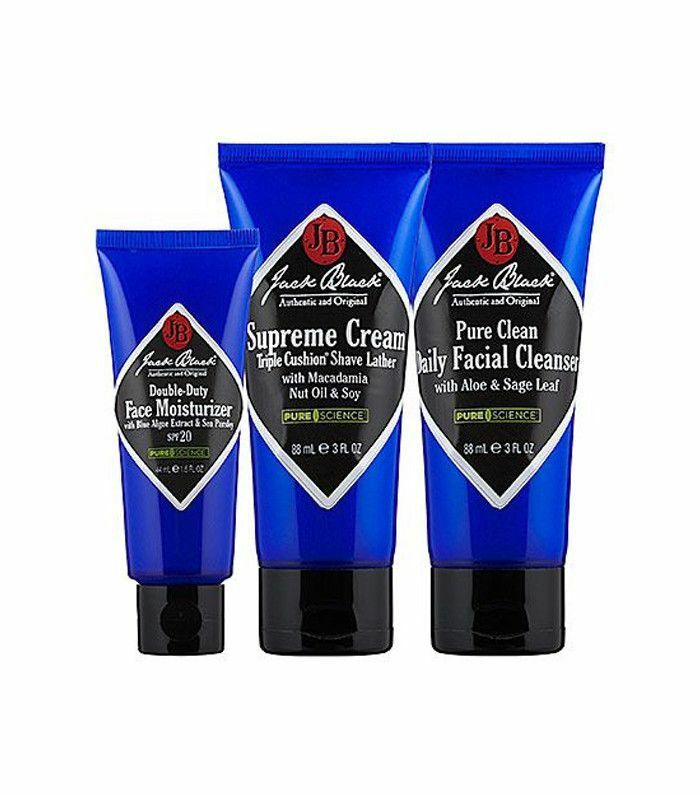 If you can get him to use the products consistently for a few weeks, he'll notice a difference in his skin and want to keep up with it. Jack Black makes a great three-step kit, as does Ursa Major ($102). If you treat skincare more as a health concern than a "beauty" concern, men will be more inclined to go along with it. "Notice that your boyfriend's skin is dry or flaky after he showers? Or that your dad's face gets red or irritated after he shaves? Or that your brother still gets zits or flare-ups around his T-zone?" Campbell says. "These are all ways to introduce products that provide concrete, noticeable benefits to what ails them." And feel free explain the science behind the products you're recommending. "Guys like to be given reasons," Verdeyen says. It will be hard for him to argue the logic behind washing your face to prevent acne or wearing sunscreen to stave off harmful sun damage. A personal testament to this strategy: I started applying a prescription eczema treatment and skin salve to my boyfriend's facial eczema every day and explaining why it would help. All of this annoyed him at first, of course, but after seeing the improvements, he started asking me what else he could do to help his skin. Success. Campbell admits this is a sly tactic, but it works. "Next time you're shopping, ask a specialist for a few samples," he says. "Drop those samples in the shower next to his body wash or in the drawer where he keeps his shave stash. They'll disappear in no time, and a new habit will have been born." Proof that this works: I once casually brought home a bag of carefully selected free samples from a Birchbox event and told my boyfriend that he could try some out "if he wanted to." Long story short, he tried them, liked a few of the brands, and to this day, he thinks he discovered them all by himself. If he's still convinced that skincare is a girls-only pursuit, a simple shift in syntax can help. "If all else fails, use terminology that allows him to feel less emasculated," Campbell says. Give him a bottle of toner, call it aftershave, "and he'll have no qualms about slapping some on every morning." Next up, check out seven skincare secrets models know (that you don't). Ask a Dermatologist: Can You Hydrate Your Skin Without Moisturizer?